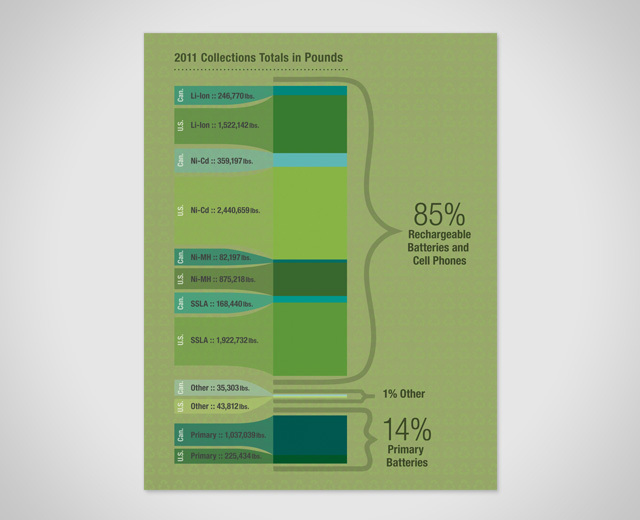 This graphic displays the battery collection totals for 2011, a milestone year. Just looking at the raw numbers, it was difficult to see where the strengths and weaknesses of the program were. By breaking down the data by category and country, it is easy to see what Call2Recycle's largest collections are.